It wouldn’t be wrong to say that 2016 was a bit of a rollercoaster for Tesla. The company ventured into electricity generation with its Solar Roof tiles, moved closer to fully autonomous cars with Autopilot 2.0 and started the construction of its Gigafactory — which will be the largest production facility in the world when completed, but it also had to go through troubles as its share price kept fluctuating due to the uncertainty around its merger with SolarCity. The year 2017 is expected to be the year when Tesla CEO Elon Musk’s plans listed in his "Master Plan, Part Deux" take definitive shape. Model 3 launch: Tesla unveiled its mass-market oriented car, the Model 3, in April. The $35,000 car is expected to seat five people and come with advanced Autopilot hardware and software. Tesla’s website says that it will run 215 miles on a single charge and go from 0-60 miles per hour in under 6 seconds. The Model 3 will be Tesla’s most affordable car till date and is expected to be launched by the end of 2017. Solar roof availability: Tesla unveiled its Solar Roof tiles, developed in collaboration with SolarCity, in October. The Solar Roof tiles act as a replacement for traditional roofing material and will create electricity from solar energy, which will be stored in Tesla’s Powerwall 2.0 energy storage system. The system can store 14 kWh of electricity and put out 7 kWh peak power, which will be enough to power a four-bedroom house for a full day. Tesla’s Solar Roof tiles are expected to be available in 2017, although the exact time of release is not yet known. Enhanced Supercharger network: Tesla has been setting up a network of Superchargers — free connectors to charge its electric cars. The company unveiled its Supercharger network expansion plans last Friday. A total of 769 Supercharger stations are currently being operated globally with 4,876 Superchargers. The company aims to double the number by the end of 2017. 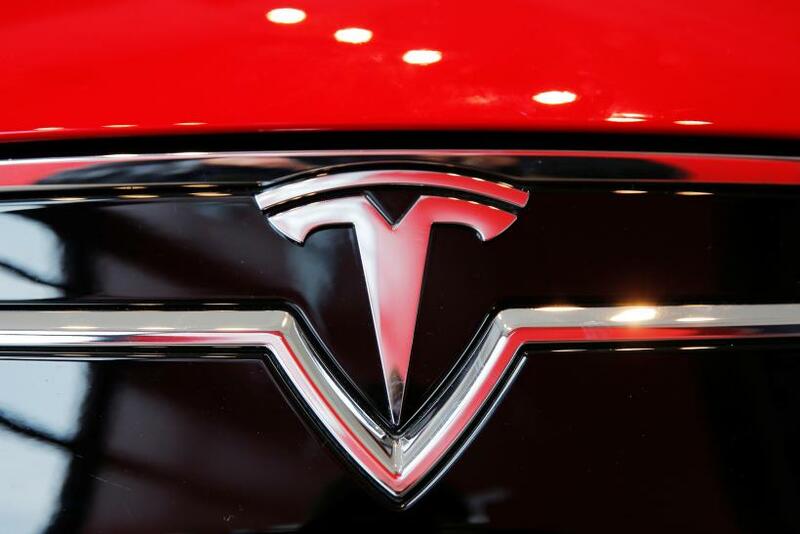 ‘Enhanced’ Autopilot: Tesla is reportedly working on an enhanced version of Autopilot, which will make its self-driven cars safer than human-driven cars by imposing speed limits in the software. Tesla's China entry: In 2017, Tesla is reported to have expansion plans for China — the world’s largest automobile market. The Chinese government announced Thursday its new policy that will allow manufacturers of "new energy vehicles" to invest in the country. This goes hand-in-hand with Musk’s plans of finding a production partner for Tesla in the country. Expansion of production facilities: Tesla plans to produce 500,000 cars per year before 2020. The company has already set up the Gigafactory in Nevada in collaboration with Panasonic and other partners. The facility is expected to start production in 2017 and start operating to its full capacity by 2018. Tesla pickup truck: In his "Master Plan, Part Deux" unveiled in July, Musk declared his plans to expand Tesla into the production of differently designed vehicles. All Tesla cars until now have been sedans. But, in 2017, the company is expected to come out with an electric pickup truck, expanding its reach over the consumer market. Electric buses and trucks: Tesla plans to produce electric commercial vehicles — heavy-duty trucks and high passenger-density buses. The company says that both are in production stages and should be unveiled in 2017. Called the Tesla Semi, the truck is expected to deliver a substantial reduction in cargo transportation cost, according to Musk’s "Master Plan, Part Deux." Model Y crossover all-electric sedan: Tesla is expected to unveil an electric crossover sedan, built on the same platform as the Model 3. The company is said to be in advanced stages of development of the car. Ride-sharing: Tesla plans to create a fleet of self-driven vehicles that can be used for shared rides. In simple terms, you might be able to summon a Tesla just the way you call an Uber and share your ride, but the car will be driven autonomously. You will also be able to add your own Tesla to a ride-sharing fleet, in which case the car could generate income for you by offering rides while you are away. This part of Musk’s plan would require approvals and testing, but in 2017, Tesla is expected to move in this direction, especially in the face of competition from the likes of Google and Honda.